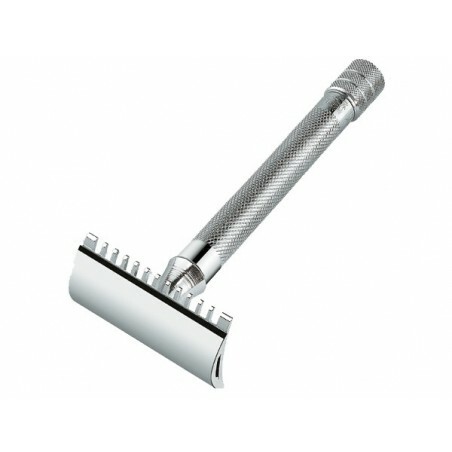 Merkur 25C Open Comb Double Edge Safety Razor. 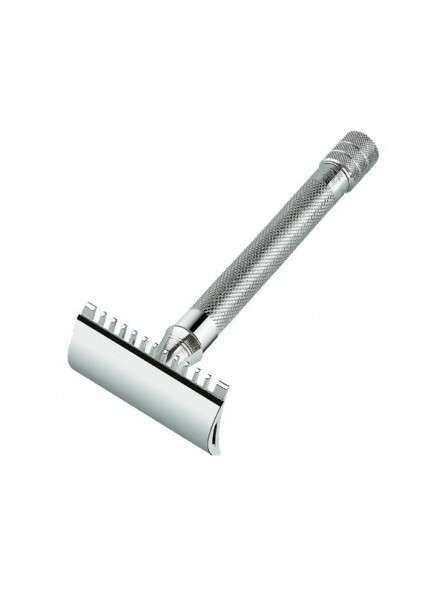 3 piece razor design offered with a chrome finish handle. DE razor offered with a long handle for superior control and comfort. The open comb head offers a closer or more aggressive shave than a conventional close head. It is recommended for sensitive skin or tough beards. Suitable for users with a little experience using a DE razor.